Mustang – The pilgrims and tourists visiting Mustang district have been left at lurch as the Beni-Jomsom road section was disrupted due to flood and landslide. Although the debris of the landslides were removed from various places mobilizing the dozers brought here to build Beni-Jomson-Korala Road, it would take few more days to clear all the debris in all the landslide-hit places along the road section, shared Beni-Jomson-Korala Project's Engineer, Pradeep Niraula. 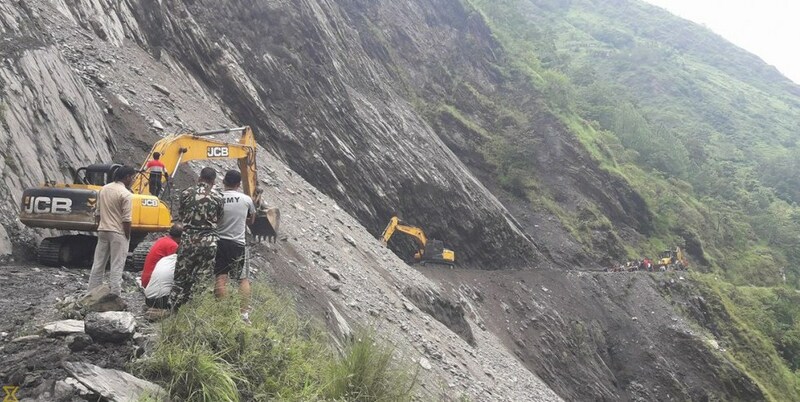 House of Representatives member Prem Prasad Tulachan said that efforts have been made for the management of the landslide-affected households and to resume the traffic along the Beni-Jomson road section by removing the debris and repairing the road section.